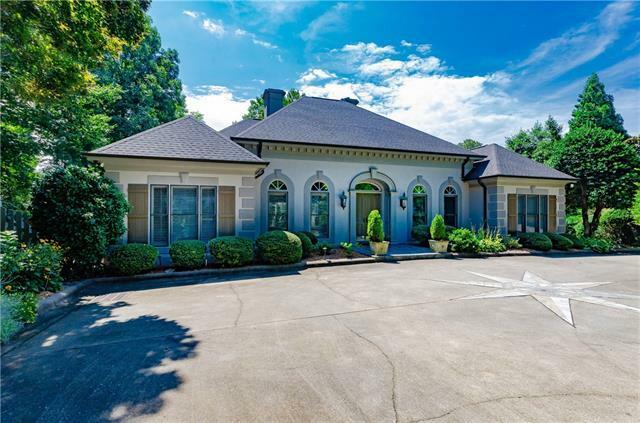 4440 3rd Street NW B, Hickory, NC 28601 (#3413128) :: Robert Greene Real Estate, Inc.
One of Hickory's most prestigious lakefront homes with a heated private pool, cabana, outdoor kitchenette, covered boathouse, deck, patio, screened porch, easy lake access, water views, outdoor shower, beautiful stone fireplace, fountain, professionally landscaped, stone retaining walls, oversized two car garage with workshop, etc... Interior features include multiple fireplaces, glistening hardwood floors, built-in cabinets with wet bar, French doors, granite tops, vaulted ceiling and a luxurious master suite with gas fireplace and a sitting area. Spacious master bathroom includes his and her granite vanities, Italian marble master shower and a soaking tub. Designer kitchen with Wolf 36 six burner gas range, Sub-Zero refrigerator/freezer plus additional Sub-Zero refrigerator, granite, bar, breakfast area and screened porch. Property has access to the Moores Ferry clubhouse and lakeside pool. This stunning property has privacy from the road and neighbors. Perfect home for entertaining.